Romania’s President, Klaus Iohannis, on Tuesday rejected the Social Democrat Party’s proposal to name Sevil Shhaideh as Prime Minister-designate. “I have carefully weighed the pros and cons and I have decided not to appoint Sevil Shhaideh,” Iohannis said. “As a result, I am asking the PSD and ALDE [its coalition partner] to make a new proposal,” he added. Romania’s Sevil Shhaideh. Photo Ministry of Regional Development and Public Administration, Wikipedia Commons. The Social Democrats, PSD, had suggested the 52-year-old Muslim woman, who comes from Romania’s Tatar minority, and a close associate of PSD chair Liviu Dragnea, because he was barred from the job due to a suspended jail sentence for electoral fraud in the 2012 referendum. Dragnea said he was surprised by the President’s decision and that neither he nor his fellow coalition members could find any constitutional reason for the President’s refusal to accept Shhaideh. “This man wants to provoke a political crisis in Romania,” Dragnea said adding he would come up with a decision by Wednesday. “It won’t be easy. We’ve received an avalanche of messages during the past few hours from people who demand that we suspend the President. It’s not an easy call. “But if we conclude after a thorough analysis to suspend the President, I will not hesitate. I took into consideration forming a commission to analyze whether the president’s gesture is constitutional,” Dragnea said. The PSD triumphed in the legislative elections on December 11 by a wide margin and has formed a coalition with the smaller Alliance of Liberals and Democrats, ALDE, to form a majority in parliament. The PSD-ALDE coalition has 250 of the 465 seats in parliament and would easily be able to survive a vote of confidence and pass legislation. It would also make it possible for the PSD-ALDE coalition to impeach the President. Beyond that fact that Dragnea and Shhaideh are close, the nomination of a Muslim for the PM’s post came as a surprise after the PSD ran an election campaign with a heavy nationalistic flavour under the slogans “proud to be Romanian” and “Dare to believe in Romania”. The PSD, which also promised higher wages and pensions during the election, had hoped that Dragnea would become Prime Minister but Iohannis made clear he would reject any candidate with a criminal record. Shhaideh has a BA a Computer Science and was little known to the public. Her only political responsibilities were a five-month post as Development Minister in 2015. 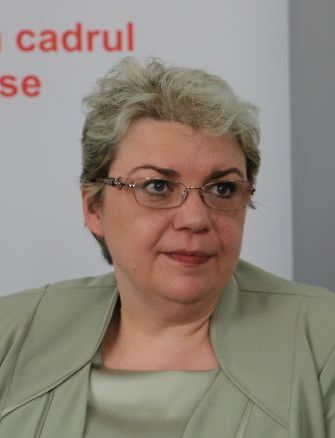 The opposition warned that she would be “Dragnea’s puppet”. She also came under criticism because her husband, Syrian businessman Akram Shhaideh, served for 20 years in the Syrian Ministry of Agriculture, a position usually reserved for Assad regime supporters. Investigative reports found that he had posted messages in support of Syrian President Bashar al-Assad on his Facebook account. Akram and Sevil Shhaideh married in 2011 and Dragnea was a witness at their wedding. Akram Shhaideh obtained Romanian citizenship in 2015. “I don’t see how Shhaideh would get a certificate authorizing her access to classified information, especially when it comes to NATO documents,” former Justice Minister Catalin Predoiu commented.